Ferrari has a place all of its own in the automotive industry's hall of fame. This year will mark the Italian sports car manufacturer’s seventieth birthday. Retromobile paid tribute to this legend by showcasing a selection of its big beasts from road driving and competition racing. Just try it: say the name "Ferrari" in front of any group of people. You will see their faces light up. Their eyes will sparkle and twinkle. Sometimes, they even become hysterical. Ferrari is now the world's most influential brand – ahead of Apple – reigning supreme in the world of car manufacturers. Most of its models fetch extremely high prices at auction. 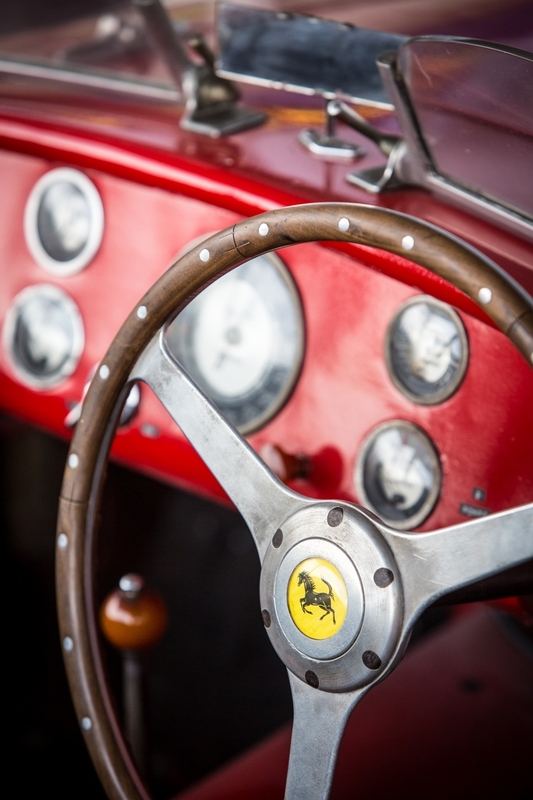 The Ferrari legend can trace its roots back to the first half of the 20th century. Ferrariwas a man before becoming a brand. The kind of story you'd expect to find in a novel. A story about a man who was practically married to cars – so much so that he spent his whole life working with them. Not content with being a competent racing driver with numerous titles to his name, including second place in the 1920 Targa Florio open road endurance race and numerous other victories – from Savio to Pescara – Enzo Ferrari proved his worth as a manager, officially taking over Alfa Romeo's racing department in 1933. The red cars quickly found their flanks adorned with badges featuring a black horse rearing up against a golden yellow background – the colour of Modena in northern Italy. This coat of arms was originally emblazoned on the cabin of an aeroplane belonging to Francesco Baracca – a crack Italian aviator who died in combat on 19 June 1918. His mother, Countess Paolina Baracca, encouraged Enzo Ferrari to feature this emblem on his cars. "It will bring you luck", she assured him. In 1936, Spanish engineer Wilfredo Ricart started working for Alfa Romeo, heralding changes to the balance of power within the company. Enzo Ferrari's dislike for the man led to his leaving. Ferrari returned to the premises of the now-defunct Scuderia in Modena. There, he was able to turn his dream of designing and producing a car bearing his own name into reality. Well, nearly. When he left Alfa Romeo in 1939, it was under the understanding that he would not use the Ferrari name in association with races or racing for at least four years. He got around this by founding Auto Avio Costruzioni in September 1939. The outbreak of the Second World War postponed his racing car projects, forcing him to move to Maranello. After the war ended, he was once again able to resume work on his dream. On 12 March 1947, a crowd gathered in the Trento Trieste in front of Ferrari's factory, hoping to get a first glimpse of the 125 S, which already featured a V12 engine. Admittedly, it was only a 1.5 cc, but it quickly became apparent that it was a major step up. The famous Ferrari emblem adorned the end of the bonnet against a yellow background. On 25 May, only just over two months after the world's very first Ferrari had rolled off the production line, Franco Cortese clinched a victory at the Rome Grand Prix at the wheel of a Ferrari 125 Sport. But this first success story was not enough to stave off Ferrari's day-to-day difficulties. To keep the company afloat and enable it to develop racing cars, Enzo Ferrari decided to start building road cars. At the Turin Motor Show in September 1948, he revealed his first ever grand tourer: the four-seater 166 coupé designed by Milan-based coachbuilder Carrozzeria Touring. Throughout this time, change was the only ever constant in his racing car factory. Ferrari was spinning his web. Single-seater, Sport and GT: Ferrari started building cars of all types. More often than not, successfully. They started amassing praise and titles, establishing themselves as the cars to beat. This unique and unshakeable commitment across the board in all of the main areas of motorsport is what sowed the seeds of the legend of Ferrari. Ferrari's charismatic personality, the commitment of the best engineers and racing pilots taking on a merciless fight, the cult that had grown up around V12 engines, the sculpted, feline, distinguished forms of the cars themselves, the nobility of racing which defined the very essence of the grand tourers, the cars' exclusive nature that resulted from limited production runs and high-quality performance all contributed to the special aura which was beginning to surround the brand. Rétromobile exhibited a selection of Ferrari's most historical models, recounting this unusual adventure. The Ferrari 500 F2 is one such example. 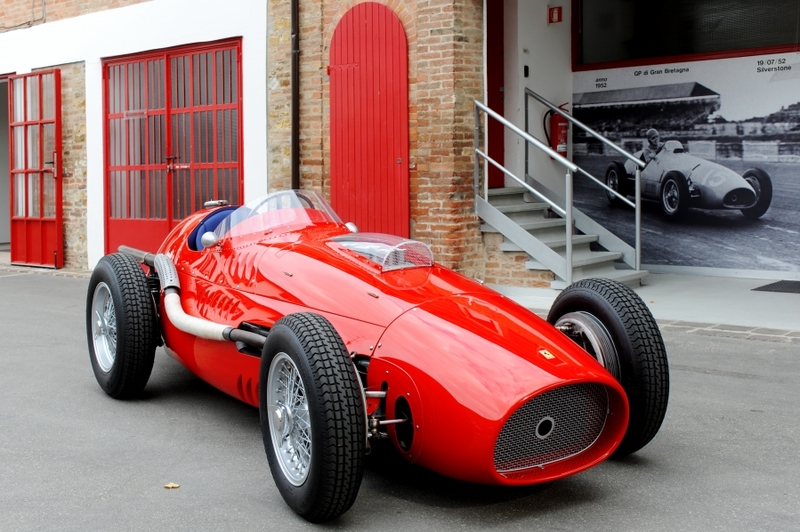 With two world titles in 1952 and 1953, this single-seater is the most decorated car in the brand’s whole history. It won 11 Grand Prix with Alberto Ascari at the wheel. With 14 victories under its belt out of a total of 15 races, the 500 F2’s superiority was absolute. The car was already an example of Enzo Ferrari’s forward-thinking and strategising approach. Following the defections of a number of leading builders, the sports authorities had decided that Formula Two was to take over from Formula One for the 1952 and 1953 World Championships. Ferrari saw it as an opportunity to inexpensively develop a single-seater derived from the F2 which was dominating the discipline. Beneath the bonnet of this new car was a 4-cylinder 2 L engine featuring a double overhead camshaft and a 185 hp twin-plug ignition system. This engine, designed by engineer Lampredi proved unfailingly reliable. Ferrari's main accomplishment was not so much its accumulated F1 victories (in itself a major feat, considering how young the company was), so much as its ability to work on several programmes at once. Ferrari was therefore involved in competition events right at the very beginning. The Ferrari 166 Mille Miglia sports race car on show has a golden pedigree. With its Touring bodywork, it won the first 24 hours of Le Mans to be staged after the Second World War in 1949. Luigi Chinetti – who had already won the race in 1932 and 1934 – drove the 166 MM for more than 22 hours, as part of a team with Lord Selsdon. 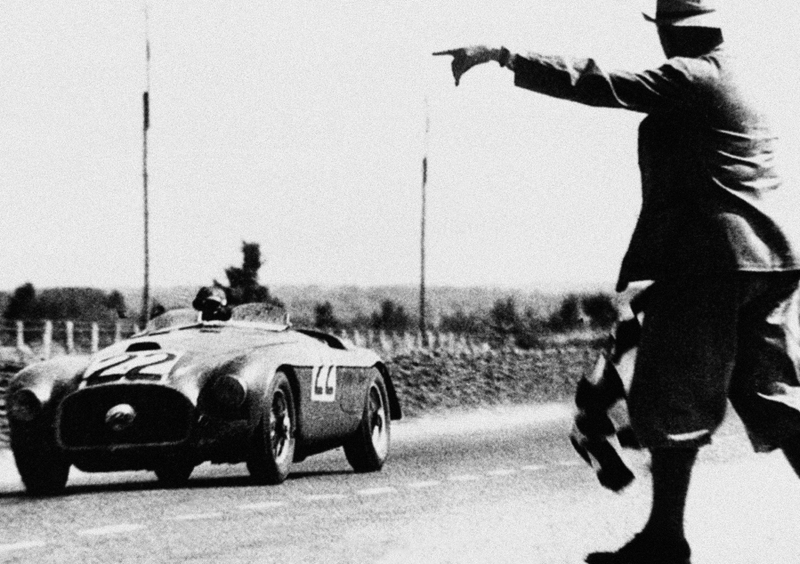 On loan from the Automobile Club de l’Ouest Museum, the red racing car (number 22) marks the start of Ferrari's supremacy at the 24 hours of Le Mans. Eight more victories were to follow up until 1965, six of which were consecutive (1960 to 1965). The last one was by a Ferrari 250 LM – the manufacturer's first mid-engined saleable racer for the public. Rétromobile will be showing a 250 LM model – chassis number #5975 GT. On loan from the Schlumpf Collection housed at the Mulhouse National Automobile Museum, this model featuring a 3.3 L V12 engine (275 LM) has the lowest mileage of the line. It has clocked up barely 1300 miles since it was delivered to its very first owner – Helge Pehrsson from Sweden. The real fake GT had never known the thrills of racing before becoming part of the Schlumpf collection in 1967. It was at around this time that the Schlumpf brothers acquired the 500 TRC two-seater MD TR (chassis number #0692), sold new to Adrian Conan Doyle. Much prized by private collectors – often amateurs themselves – this 1957 sports car was the last vehicle to feature Lampredi's 4-cylinder engine. It is an important milestone in the family tree of sports cars: its chassis formed the basis of the Ferrari 250 Testa Rossa which was to replace it in 1958. The 250 family (featuring 3 L V12 engines) is – without contest – the most prolific and the most glorious. 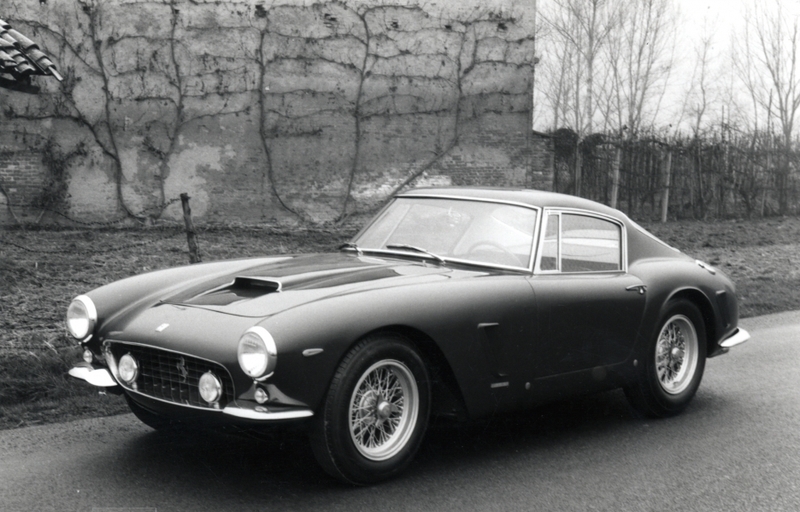 Rétromobile will be paying tribute to it with a "Series 1” 250 GT Cabriolet. It was designed by Pinin Farina as part of a close collaboration that had begun in 1951. With a chassis number of #1193 GT, this extremely elegant cabriolet is one of a very limited series of only thirty-seven vehicles that were built practically to measure in the Corso Trapani factories between 1957 and 1959. 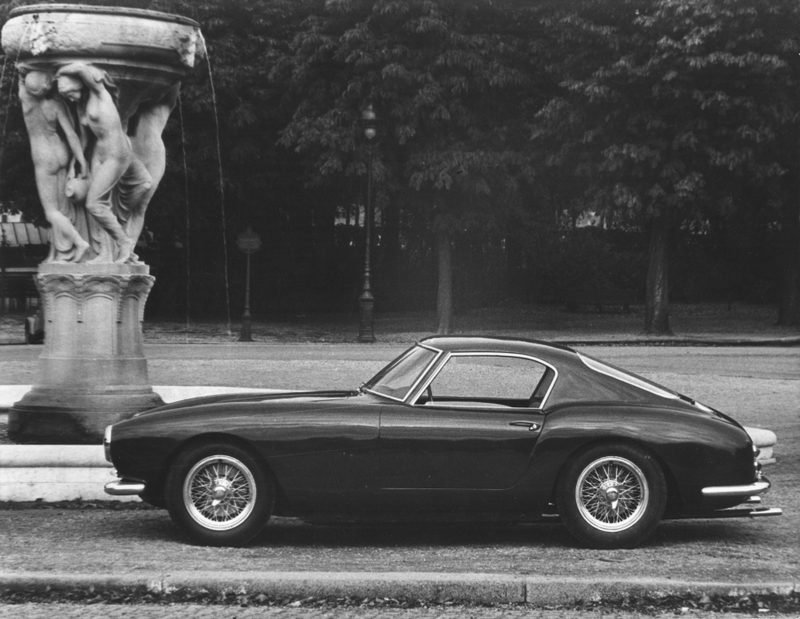 Ferrari was to unveil another masterpiece designed by its partner coach builder that year at the Paris Motor Show: the 250 GT Berlinetta, more frequently known as the SWB (which stood for Short Wheelbase). Built by Italian automobile designing coachbuilding company Carrozzeria Scaglietti, the 250 GT Passo Corto was produced in two versions: aluminium and steel. 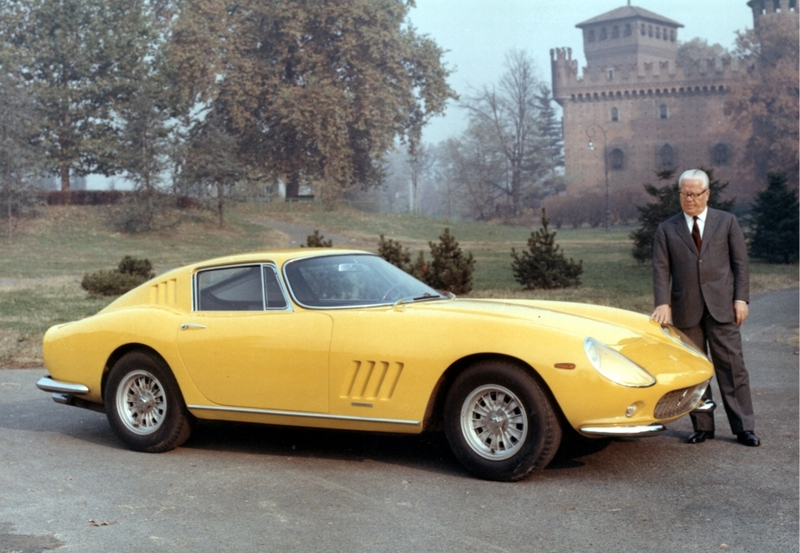 The two-seat gran turismo that was to replace it in 1964 was once again the epitome of elegance: the 275 GTB, the penultimate front-engine car to come off Ferrari's production line. It was also designed by Pininfarina which – starting in 1961 – was written as a single word (a move formally authorised by Italy's president). The sign of a bygone era, red was in considerably less demand than it is today. The car on show is maroon; the first GTB sold in France in January 1965 was dark green. The following years saw many ups and downs. The 1970s were difficult years for sports cars: oil prices increased, and speed limits were increasingly widespread. As far as racing was concerned, the Scuderia factory saw both victories and disappointments. Enzo Ferrari died on 14 August 1989. He is survived by what he created. He had long since passed over the running of the company to Fiat. Luca Cordero di Montezemolo was appointed CEO in 1991, heralding the start of a highly successful era – both from a sports perspective and in terms of sales. Following Jean Todt’s appointment as Sporting director in 1993, Ferrari won eight Constructors' Championship titles and six World Drivers’ Championship titles, five with Michael Schumacher at the wheel. On 21 October 2015, Ferrari made the headlines for a completely different reason: it became a Wall Street listed company. A new chapter is just beginning.